This material is pure plastic (polyester), but is iridescent like mother of pearl. 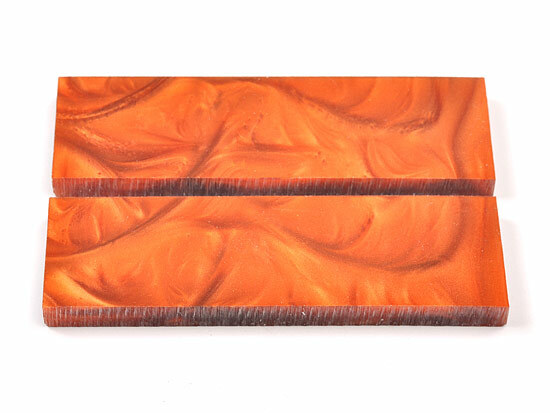 The color "Copper" is swirls of rust and different shades of orange. It is very decorative on a set of knives or a letter opener. Sands, saws and drills like other material, and polishes with the Jackson 51 white rouge. Scales are sold as a pair and are 1-1/2" wide x 5" long x 3/8" thick.